of Northern Colorado. Gorham also holds a MA degree in Kinesiology – Exercise Physiology from the University of Maryland, College Park and a BA in Biology from Skidmore College. His primary academic interests focus on strategy, organizational management and culture, entrepreneurship and development. 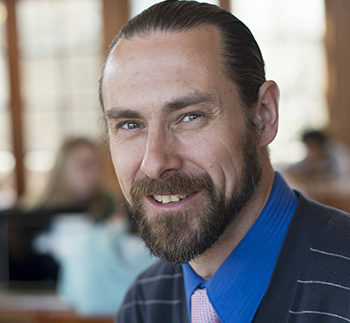 Currently, Gorham heads the Business Administration – Sports, Recreation and Tourism Management program and is the Director of Sustainable Ventures at SVC. He also serves as Faculty Athletics Representative for the college. As a business professor he integrates coursework with community partners, allowing his students to participate in student-centered, community-focused ‘real world’ learning. In the industry Gorham was recognized as an industry innovator and presenter. As a teacher, he has received multiple college academic awards. Gorham was recognized in 2013 as a Vermont Business Magazine Top 40 Under 40 Rising Star. Gorham is also involved in his local entrepreneurial ecosystem where he has been a partner in several private ventures. When he is not teaching, Gorham can be found having fun with his three young children, out cycling or working in his garden.